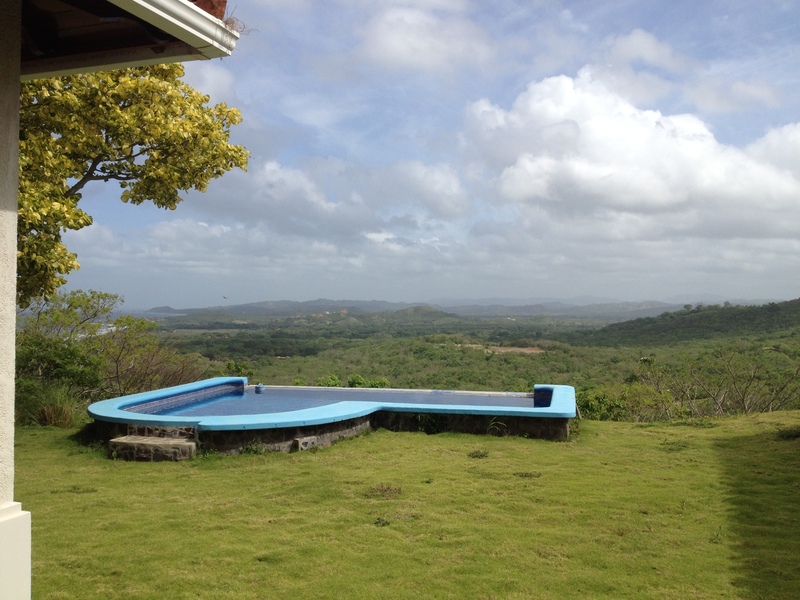 Another wonderful New Year to look forward to for me in Nicaragua. I honestly cannot be thankful often enough for following my gut and moving to Nicaragua. This is a beautiful and eye-opening place to learn and share my life. Some people stay up to watch the ball drop at Times Square in NYC. New Year’s Eve I stayed up to watch the fireworks displays at three beaches from the friend’s house where I was staying for 12 days. It was an amazing display in the sky. One of the venues lasted for almost 10 minutes. As I mentioned in my previous blog, I have been somewhat of a gypsy since Thanksgiving. Fortunately my condo has been rented. However, when the condo is rented, I have to move out. This presents new opportunities to organize stuff in the “personal closet” so that everything that needs to be put away will fit into a VERY small lockable space. A challenge, and enlightening. I am finding it interesting to realize what “stuff” is really important. The moving exercise is also fascinating as I learn my friends life’s routines. Once again, I ponder on how and why does one put value on stuff. Living in this rural area in an upscale community versus the village communities surrounding Rancho Santana is enlightening to say the least. Although the stark contrasts of the early years of my life here versus the contrasts of today have diminished, stark contrasts still exist. The villages of Limón # 1 and Limón #2 have three times as many new brick or block homes with concrete floors and painted exteriors. This has occurred because more of the people can afford to buy the materials to slowly build their homes. (That sounds like me with my Guasacate house building project–the slowly part.) There are still pigs with the triangular orcetas around their necks roaming in and crossing the roads without a care of cars, buses, or motorcycles. Horses wander where they please and cows are herded in the road from property to property. I somehow have accepted these phenomena as normal and surprise myself about this at times. Then I sit on my terrace and watch the most spectacular skies at sunset and am so grateful once again. Life updates: I have embarked on another exciting work adventure. 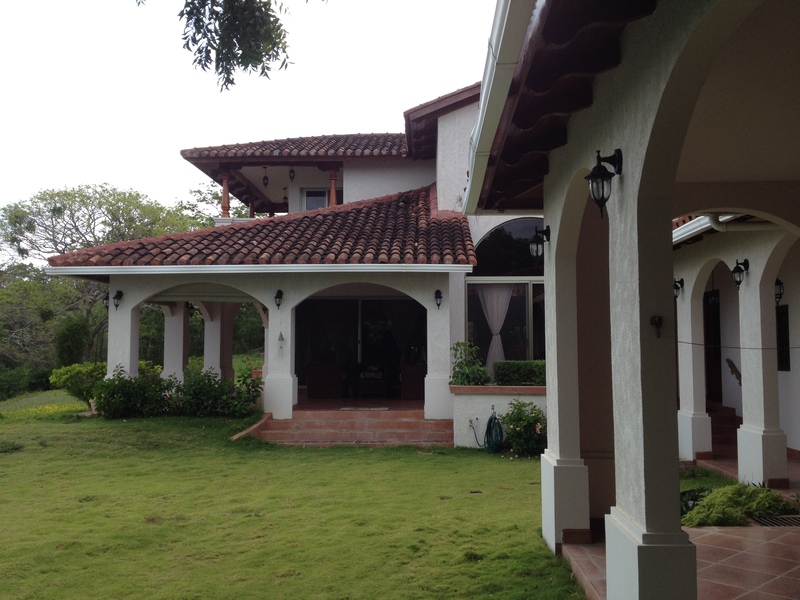 I am working with a Rancho Santana friend, Gail Geerling, who has a business called Success Nicaragua. We are starting a property management segment of her business and will soon have a website for the world to see. For the past two weeks I have been busy relearning Excel spreadsheet formatting and writing property management documents that can be used as “plug & play” templates. Relearning something that changed since first learned is challenging. I guess I should say unlearning old habits is challenging. I’m not perfect at the tasks yet, but certainly farther ahead than I was two weeks ago. Gail teaches time management, therefore she is trying to get me to perform laptop operations in the most expedient way. Gail has been a patient mentor for sure. I love what I/we are doing and it keeps me out of trouble and off the streets. Many of my RS friends are returning to the Ranch this past week. Last year many of them were here for the Christmas and New Year’s holidays and vowed not to come again at that time because it was so crowded. As a result this year the Christmas “crowd” here was minimal at best. Almost all the condos were empty except for mine and three or four other condos whose owners live here full time or are owners from Managua. My renters were Managua residents who brought their Santa paraphenalia with them for their young children. I had to laugh because the five year old told her parents that Santa was “very skinny”. Santa was the mother’s brother visiting with them from CA over Christmas and is indeed tall and thin. Everyone at my condo had a good time. I have been to the new Esmeralda Coast International airport (ECI) twice in the past two weeks picking up clients and neighbors in the condos. Since it is only a 15 minute trip, it is a piece of cake drive for me. And of course, you have to know that I have been an airplane/airport buff since I was a very young child. So seeing how our little ECI runs is a pleasure for me. The Guasacate house has had more infra structure on the ground around the buildings to accommodate a road on the ocean side of the houses which required three big pieces of earth moving equipment onsite for about six hours one afternoon and night. The end result will make the driveway on the ocean side as solid as the rock the houses were built upon. This coming week is the annual Roberto Clemente Clinic Board Meeting and Health Fair. Of course, I will be in attendance at the Meeting and working at the Fair. My Spanish has improved immensely over the past year as I have learned to listen in Spanish versus trying to interpret between Spanish and English as I hear words. This is not such an easy task for a visual learner–me. I hope to be more useful to the Fair attendees as a result of the improved language skills. There is always something new and interesting to do here. So I look forward to see month by month what 2017 has in store for me. Buen Salud y Prospero Año Nuevo to all those who follow my Life in Nicaragua. Earth moving from my Guasacate terraces–downstairs on the left, upstairs on the lower right. Retired? Not me, at least not in the true sense of the word. In a previous post I spoke about organizing the Burn Prevention Program in schools. In April Aproquen presented the programs in the Department of Rivas. Next week the Aproquen team will present in the Department of Granada. Although I am not an official member of the teaching team, I am the front person that prepares the way for the three days of events. I find places for the team to spend the night, find donors for box lunches to have between the school presentations, find a proper conference room for the clinical seminar for 40 to 50 doctors and nurses, and in some cases also help find rural schools that would most benefit from a Burn Prevention program for their youngest students. This may sound like not such a big deal. However, Aproquen is a not for profit hospital that provides free care to burn victims and houses the family while the child is in the hospital–like the Shriners Children’s Hospitals and Ronald McDonald house. Since care is provided for free, I find donors for everything. This July session is particularily interesting because the Beremerite Grupo de Bomberos donated their dormatory room for the school teaching team that consists of seven physical therapy students and their instructors and five Bomberos/firemen who come from the Department of Chinandega at least three hours from Granada. 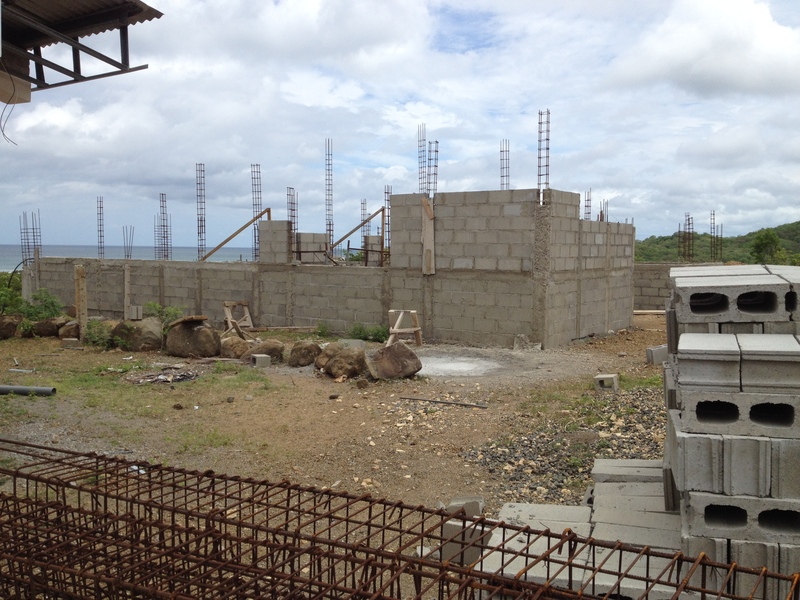 I am especially happy to have this accommodation of a dormatory for the team since I have been looking for a Grupo de Bomberos who would be interested in learning the bombero portion of the program so that there can be other trained bomberos closer to Managua and our more rural areas. Only hitch to this donated dorm is that there is the space without beds. Why should a little issue like this stop a good intention? Within three days I found generous donors who presented $600 for the Beds for Bomberos project. My friend Ana Zavala found a company in Managua who makes metal bunk beds and that had 12 beds on hand for the Comandante de Bomberos to buy. Comandante is sending a truck to pick up the beds on Tuesday. They will be in use Thursday night. This addition to the Estación Beremerite Grupo de Bomberos will also give them an opportunity to invite firemen from other countries to come to teach fire fighting techniques. Now they have a place to stay rather than spending money at the Granada hotels. A win win situation for me/Aproquen and for the Comandante. I cannot thank enough the folks who generously opened their wallets for me and the Grupo de Bomberos. I only have met two of these generous people. Choosing the schools for the programs wasn’t a challenge in the Granada area. Dra. Icaza, the Aproquen Administrator who is the team leader, choose four schools in the area that had had a burn patient treated at Aproquen, the Children’s Burn Center in Managua. You can read about this extraordinary program at www.Aproquen.org. The challenge for me in Granada was finding a conference room appropriate for an 8 hour clinical seminar for free. Granada was the first capital of Nicaragua and is a historical colonial city on the largest lake in Central America, Lake Nicaragua/Lago Cocibolca. Granada has a large expat population and tourists from all over the world. Finding a free hotel took much footwork, letters of “begging”, and coordiation with Dra. Icaza. So far we have a wonderful seminar room at the Hotel Granada and drinks for two coffee breaks but no free lunch for the participants as yet. I have invited and trust that a donor will show up for the $1000 bill that would feed 55 people lunch on Saturday. Another major portion of my “job” is finding doctors and nurses who want to learn “How to treat a burn patient within the first 24 hours”. This requires studying the textbook or you can’t pass the exam at the end of the seminar. Believe me, I know this since I studied many hours for the seminar when I took it in 2014–my first adventure as the Aproquen front person. Yes, I passed the exam by the hair on my chinny chin chin. Out of 42 seminarians only 11 of us passed the test. Three of us were US trained nurses which indicates our willingness to study for new things related to our profession. In Nicaragua there aren’t many opportunities for advanced study that are free. Doctors and nurses make VERY little money and work six days a week so their higher education chances are limited. There is also a considerable amount of arrogance on the part of some professionals who think they know it all. Back to the Granada seminar. I visited the two Granada hospitals and had lots of interest from the Blue Cross private hospital–16 signups. The public hospital couldn’t get their act together before I had to leave Granada so they didn’t receive textbooks. Yesterday, I received an email with 15 attendee’s names from the Sub Director of the Salud Hospital. Now I need to get more textbooks from Aproquen. Why is getting textbooks a big issue? Each textbook has to have a signed up attendee to qualify for the donation of textbooks by the Consulate of Luxenbourge. In April, due to political rivalry between the health department in Rivas and the Director of the Rivas Hospital where we had scheduled the seminar, the seminar was cancelled the day before the event. I had the onerous task of recovering 42 textbooks, some of them already had names written in them. So finding a proper seminar room in a private venue and then getting physical names, email addresses, and phone numbers of participants on the form that we use qualifies as work for me. Although I think Granada is an interesting city, I wouldn’t want to live there. Too many people and no ocean. However Lago Cocibolca does look like an ocean since you can’t see across it. I am truly a farm girl at heart. Last Friday two of my Rancho Santana friends and I attended an art show and circus at a hostel in Granada. The circus was on the style of Cirque de Solēil. The theme was Alice in Wonderland. The performing acrobats were young friends from Rancho Santana. These young women and some men are very talented and quite professional. It was great to see how many local Nicas came to see the circus with their children. The performance was free although a donation basket was passed among us. All in all we had a good time. Earlier that day I had meetings in Managua at Aproquen so I traveled from Managua to Granada, made some doctor stops, and sent my car back to Rancho with my friend/driver. I rode home in a hired car with my RS friends. We got home at 12:15 am, the latest that I have been out in years. For the past month I have been staying up on the Bella Vista hill in RS at my friend’s the Wisley’s house while my condo is rented for six weeks. I am actually house sitting to keep their place up and manage the gardener and maid a couple times a week. This is a hard job. I’ll attach photos of my view. I can see my house in Guasacate from here, a little silver sliver on the hill. Block walls are slowly growing at my house. Who knows it may be done within ten years. In the meantime, I am going to continue to stay up here on the hill and rent my condo as much as possible. This is a good deal for my friends and for me. The week after next with termination of the Aproquen events, I will be helping once again the Dentistas Sin Frontera for a week long dental clinic that is held at FunLimón just across from Rancho. I worked with this group for the past two years and think that they are amazing dentists willing to work in the heat and wind in places that most professionals would shun. As you can read, I love my “work” here. My next project will be to find more customers for Nan’s and my biodegradable bag business. More on that later. For now, enjoy everyday and don’t work too hard yourselves.